The Tessell Play Mat wasn’t the only big hit in our house among our purchases from Toddlerland.eu (which we bought using a voucher for €180 that I won on MollyMoo.ie). We also got Billy Winky’s Child’s Pillow, by Dream Genii. Without a doubt, this was another splurge purchase, as a direct result of winning the voucher. But now we couldn’t do without “Billy the Sheep”! Ironic that I am typing this on a week when Little Man’s sleep has been disturbed by teething, but I honestly believe that Little Man’s sleep improved immediately when we introduced Billy the Sheep. And it’s not surprising – the material used to make the sheep cover is so soft – I’m a little bit jealous I don’t have one of my own. When he’s settling down to sleep, Little Man sometimes holds on to the soft fleecy material – I think it feels so soft that it is really nice and comforting. The centre panel of Billy is fleece-free, and feels as though it’s made from a stretchy brushed cotton mix. 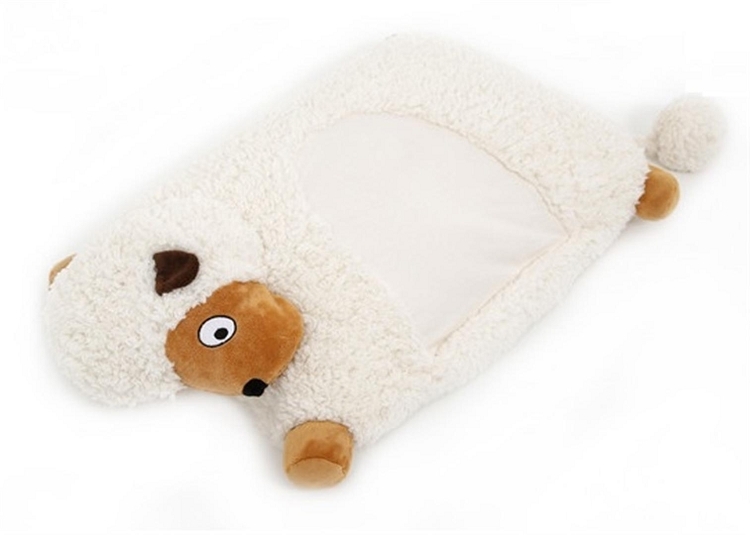 Before we got Billy the Sheep, Little Man used to constantly roll off his pillow at night, which would inevitably wake him. But that stopped when he started sleeping on this pillow. I’m not sure if it’s because of the way the centre panel is designed, but Little Man just seems much more inclined to stay centred on the pillow while he’s asleep now. I was a bit nervous about washing Billy, despite the fact that the label says it is machine washable and suitable for the dryer on a low heat. But it washed really well. And thankfully I am able to wash and dry it in one day, so that it was clean and ready for bedtime that night. And don’t forget about this month’s great offer from Toddlerland.eu for all Mama.ie readers – from now until Feb 28, 2013, just enter the code “dreammama” to get a 10% discount on purchases! Did you mean to post this comment on the giveaway instead?